How-to | Technical Info A wealth of information at your disposal. Here’s a ‘how-to’ on cleaning your multi-function switch. Failing multi-function switch symptoms include clicking sounds and flickering instrument-cluster lights—often turn-signals. In my case, the daytime running lamps were flickering and clicking. I initially thought it was a faulty relay. 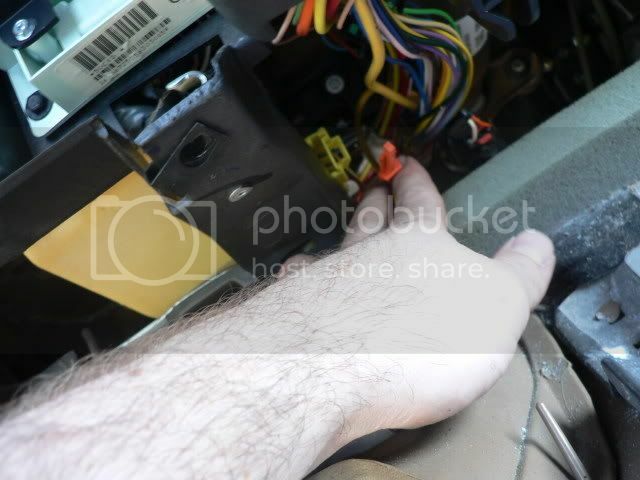 It seems that over time, the dielectric grease inside the switch, thins out and runs, creating false connections between the copper contacts within the switch. f)	removal of sound insulator panels. 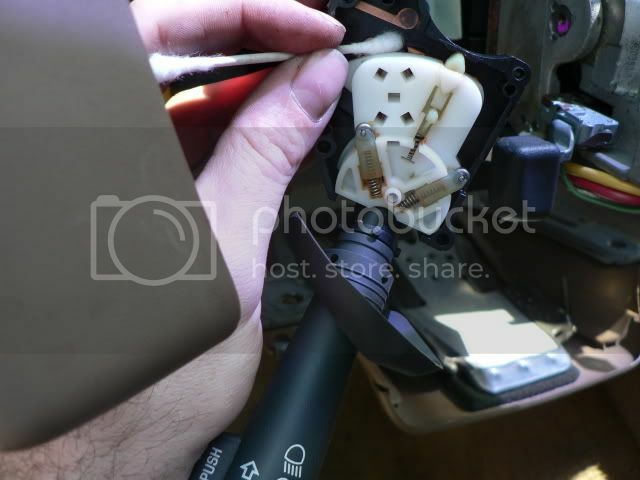 Cleaning the contacts is recommended before replacing the switch. Why? The switch is approx $200. *NOTE: I didn’t take the pics while taking things apart, I took them as I was putting things back together—so, don’t let that confuse you. the T25 torx bit is a MUST because it’s length is short and you’ll need it to fit in a very tight space. A ¼ inch wrench fit my bit perfectly to turn it. 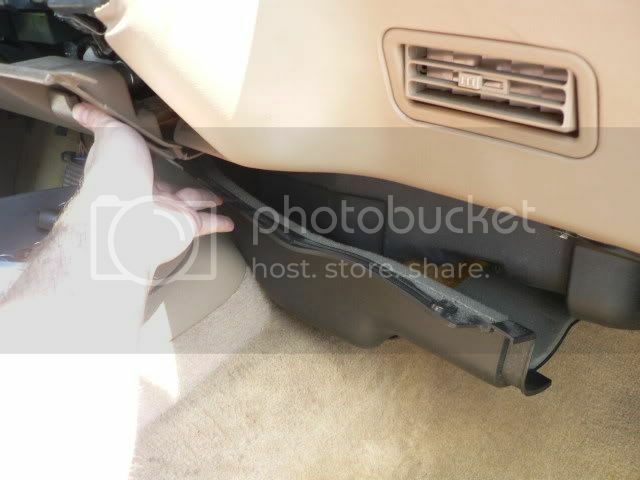 a)	roll down driver’s side window. 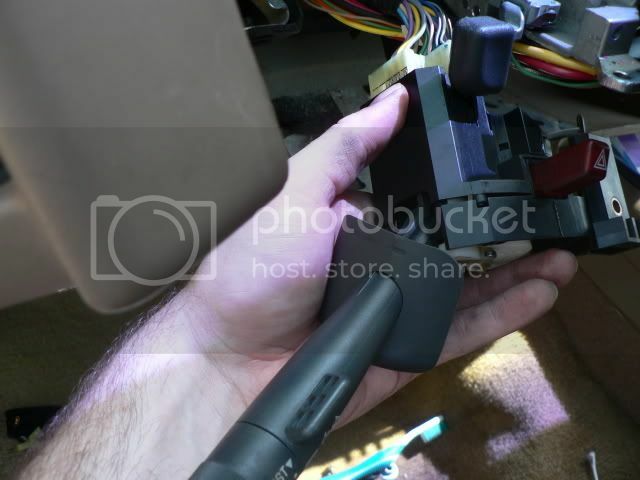 b)	disconnect negative battery cable from battery. 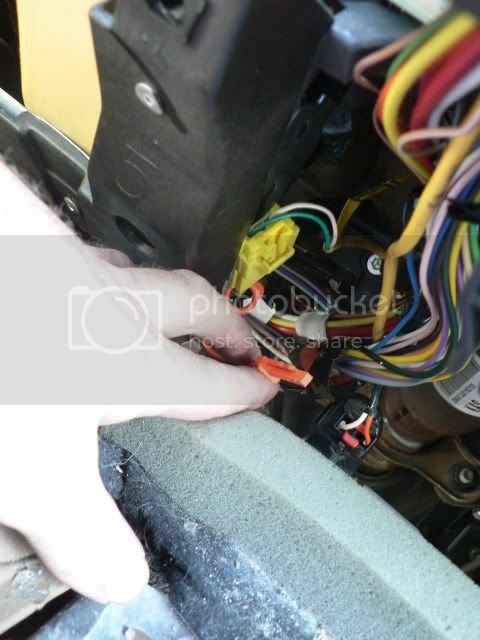 c)	remove the airbag fuse from the fusebox. NOTE: Remember which screws go where. 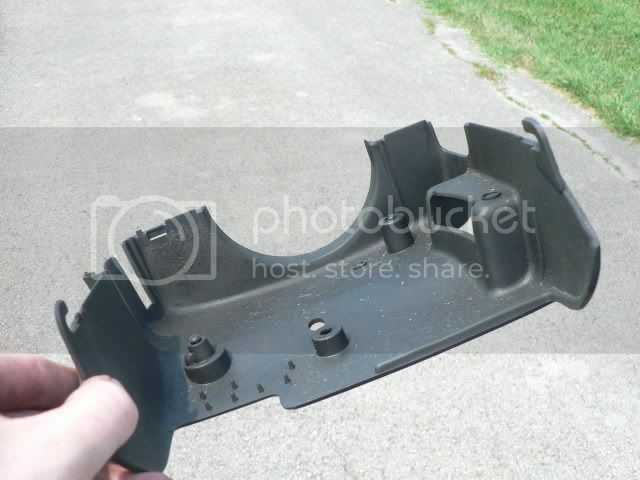 Remember how the trim pieces fit together and overlap. 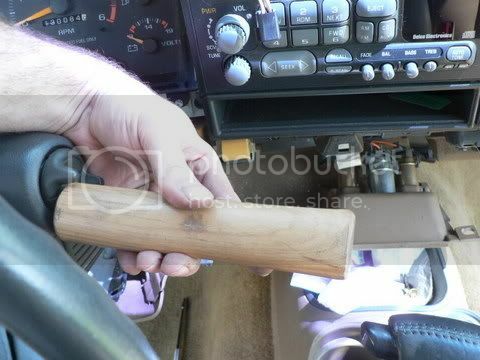 NOTE: I never needed to remove the E-brake release handle. I just let it hang there. once you remove the screws, just let the knee-bolster hang there. There is no need to completely remove it. (This pic shows the knee-bolster hanging. The pic was taken further along in the removal process). 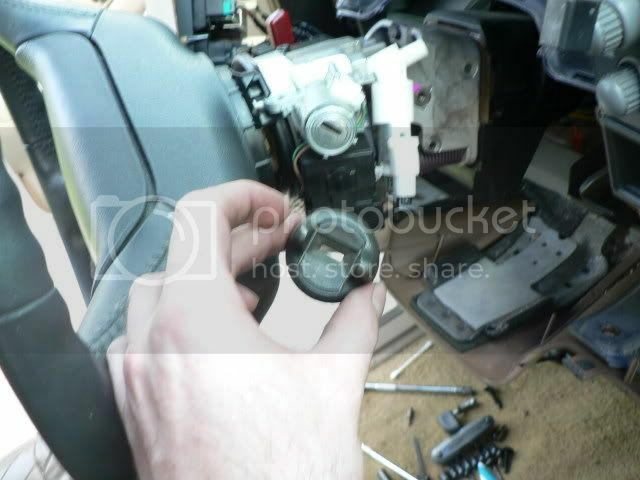 Remove the instrument-cluster bezel with Phillips screwdriver. There are two screws. Disconnect 4WD switch if applicable. Gently tug at it and the bezel will simply pop out. 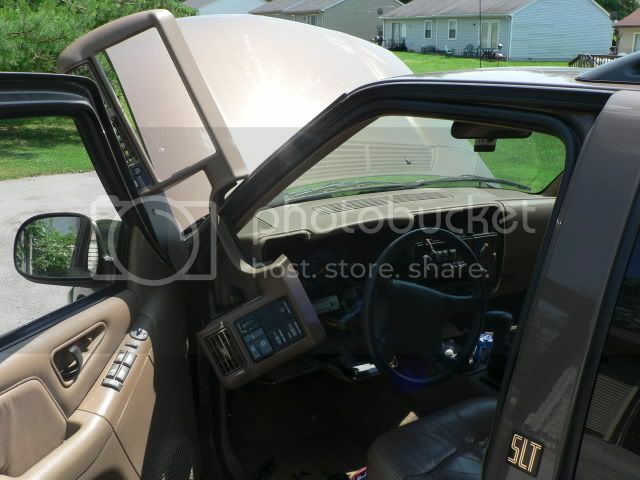 Use your tilt-steering if necessary to pull the bezel out. There’s no need to disconnect any switch on the left-side dash (headlights, defrost, rear-wiper, dimmer, etc. 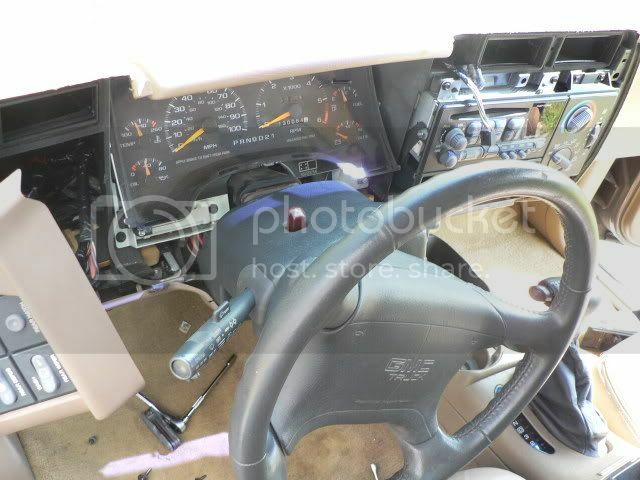 Simply pull the bezel off the steering column and move it out of the way. I used my door to support it while keeping it out of the way. 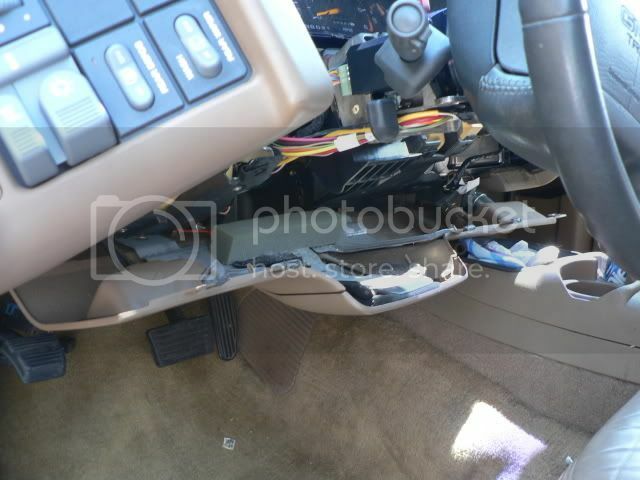 Disconnect the airbag. There’s an orange safety and then, the bright-yellow clip. It’s tricky to get to, but, with persistence, it will disconnect. 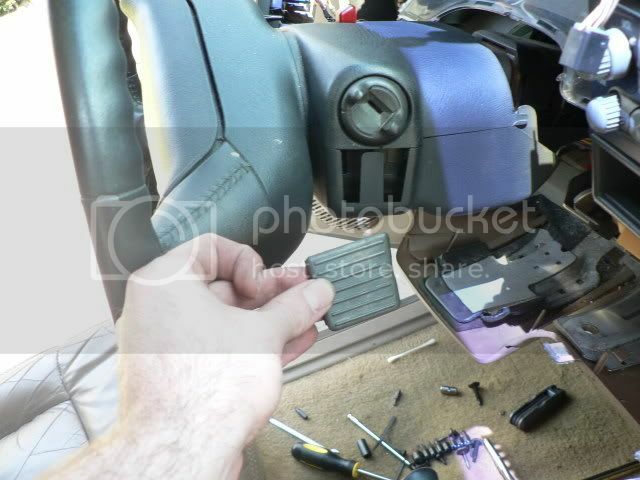 GENTLY pry the key-tumbler trim with a screwdriver. Next, the rubber trim under the tumbler will slide upwards. 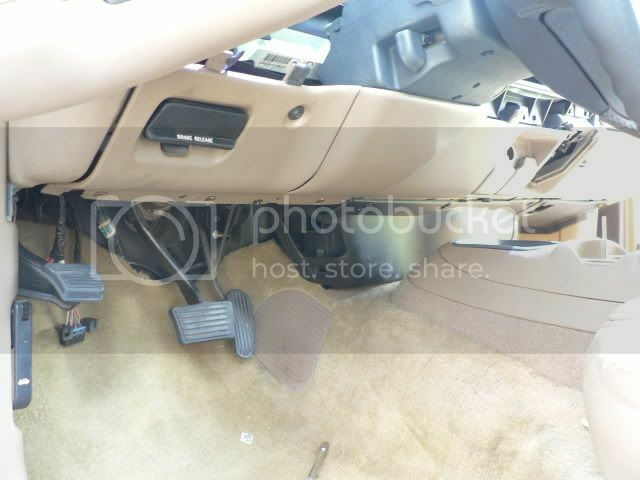 Remove the lower steering-column trim piece. Note how it connects to the top piece on the backside. Here’s how the top and bottom fit together on the backside. It’s like a little hinge. Here’s the bottom piece by itself. 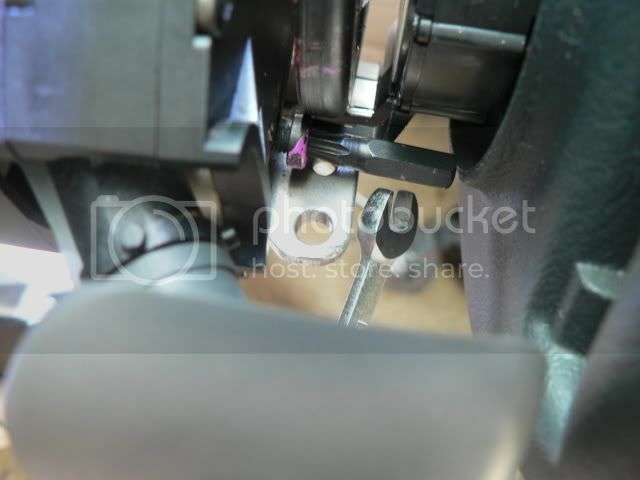 Remove top steering-column plastic piece. There are two screws that hold the top piece in place and come up through the bottom-side. They are a “male torx” and need a torx socket. I didn’t have this type of socket but a 4mm socket worked perfect. The one on the left is easy. The one on the right is extremely hard to see, but not too difficult to reach with an extension. You can see it by looking through the plastic around the tumbler. 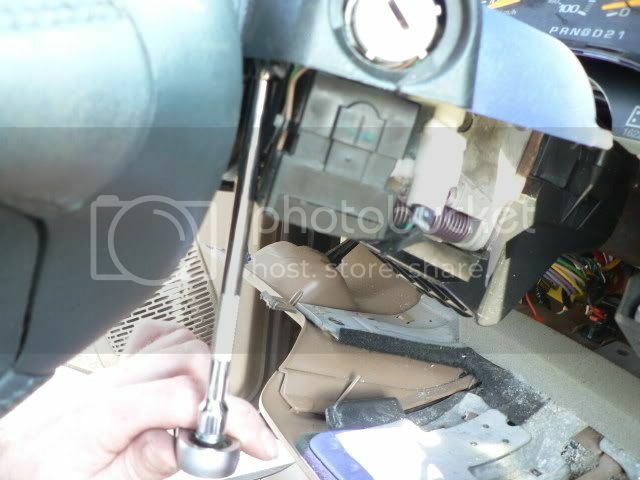 Watch that you don’t drop it inside the steering wheel like I did! Had to retrieve it with a magnet. 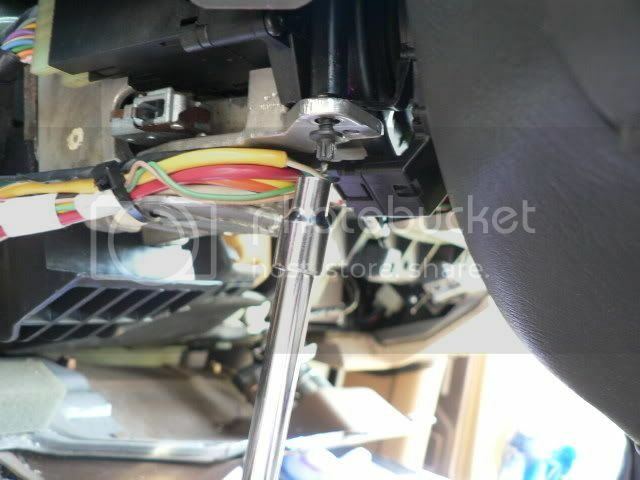 Remove the two T25 torx screws that attach the multi-function switch to the steering-column. The top one is easy. Here’s how I got to the bottom one. 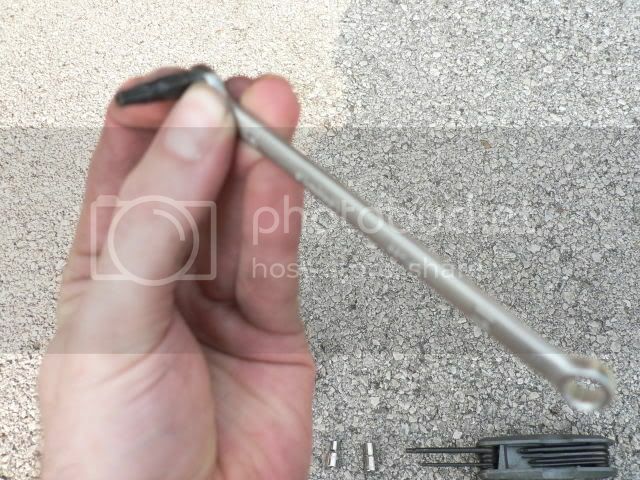 Use the ¼ wrench on the T25 torx bit. 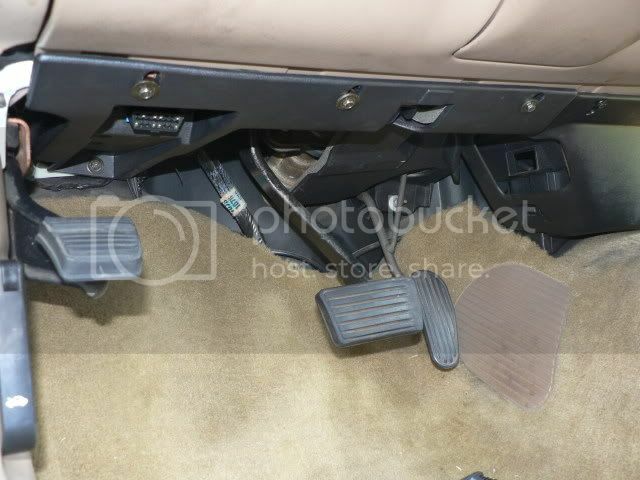 Your multi-function switch will now come off the steering-column. 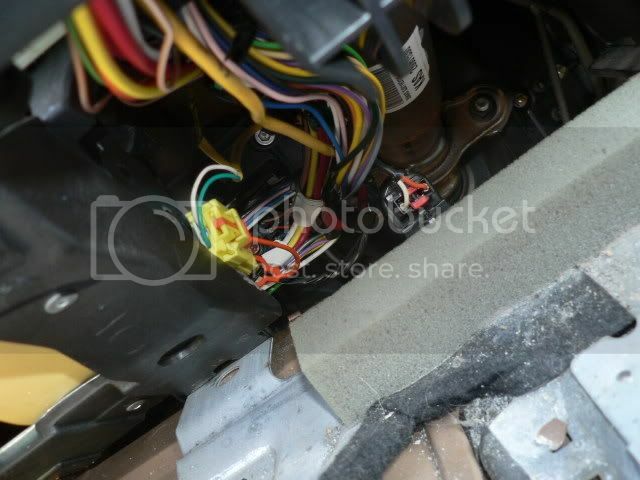 There is no need to disconnect the electrical connections to the harness. 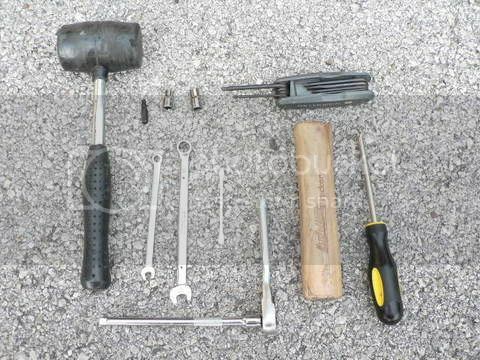 Now, remove the four T10 torx bits on the cover. BE CAREFUL HERE. THERE ARE VERY SMALL SPRINGS INSIDE THE SWITCH. OPEN THE COVER SLOWLY. NOTE HOW IT COMES APART. Here’s the cover removed. Note the button with the spring coming out. Note how the ‘Y’ plastic fits in and moves within the slot. With the cover off you’ll be able to clean the copper contacts underneath the white plastic piece. THE WHITE PLASTIC PIECE DOES NOT COME OUT. Simply reach behind it with a Q-Tip and clean the grease. Mine need about 10 Q-Tips! I didn’t re-grease because it wasn’t possible to apply the grease exactly where it should be. Rather, I cleaned with the Q-Tip but tried not to completely remove the grease. You’ll need to work the handle and the switch and make sure it’s working the way it should. When it is apart, the gears at the base of the handle get misaligned. The wipers and mist functions should all move and click appropriately. You’ll understand this when you see it. It takes some patience to make it all fit together while re-installing the T10 torx screws. DOUBLE-CHECK THAT IT IS MOVING PROPERLY AFTER YOU RE-INSTALL THE COVER. Your switch is now clean. Installation is the reverse of removal. 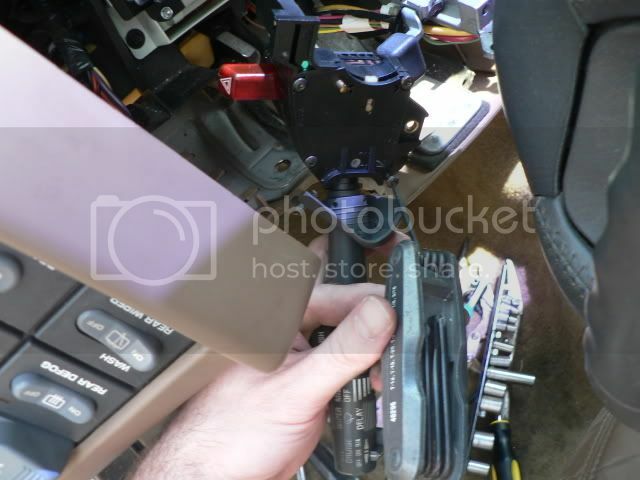 You may want to re-connect your negative battery wire and test. I’d still recommend staying clear of the air bag. 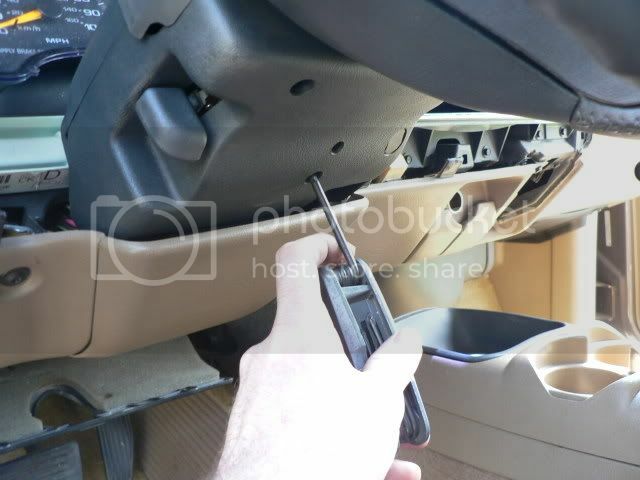 If all works well, disconnect that battery to finish re-installing all the trim just to be sure. Here’s how I used a piece of wood and hammer to persuade the key-tumbler trim to go back on. Just a couple of light taps was all that was needed. It was kind of like pressing a seal. 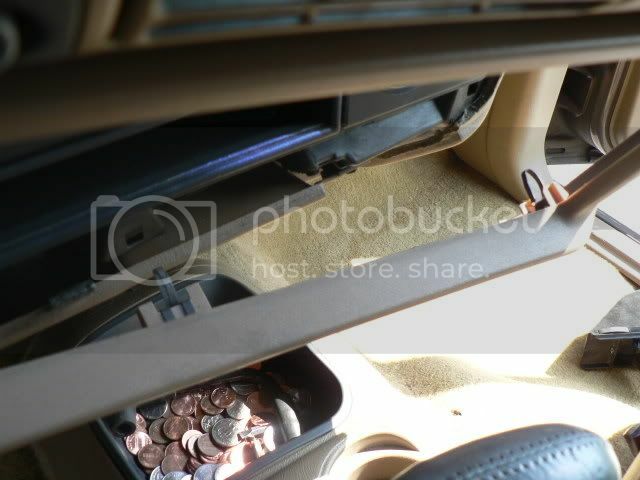 After all that time under the dash, you’ll need to install many capsules of ibuprofen into your back and neck. very excellent tutorial. i hear "lots of pics" and im there! lol again good job!!! 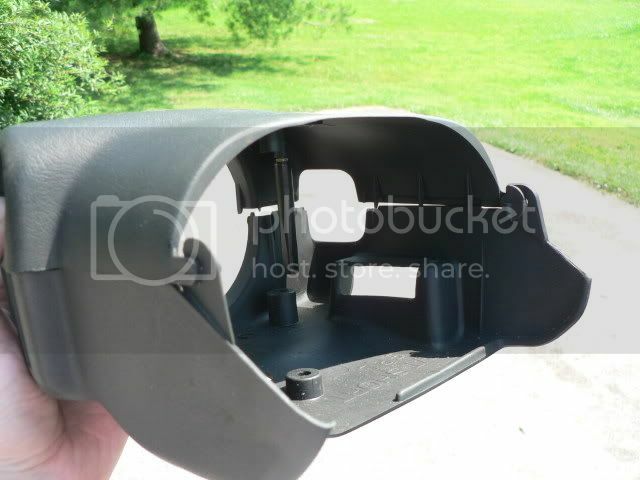 "Good Part's ain't Cheap--Cheap Parts ain't Good"
Yes it would. I did mine about 2 years ago. Will changing/cleaing the multi switch stop a delayad turn signal. 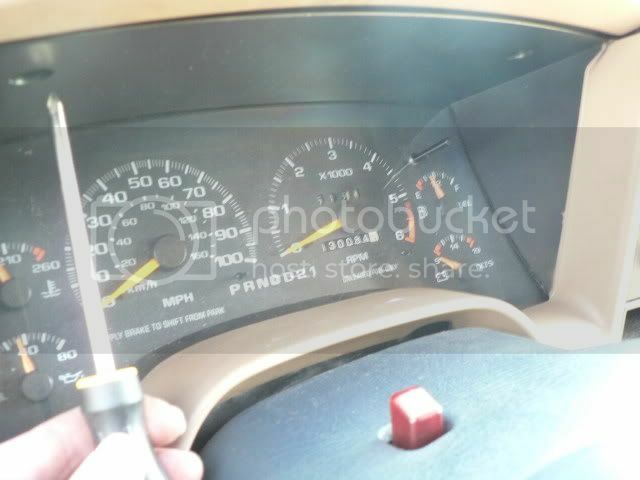 On my 97 blazer everything works i have no problems, but when my signal its delayed. I will hit the turn signal and it will take about 1-2 sec for the lights to blink. by that time i already changed lanes. Also my curise button some times doesnt work. Ill have to hit it about 5-10 for the curise to come on. 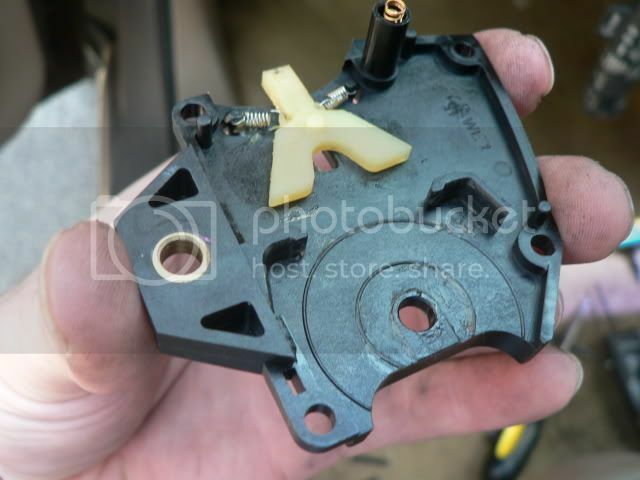 Any one think its all related to a dirty multi switch? 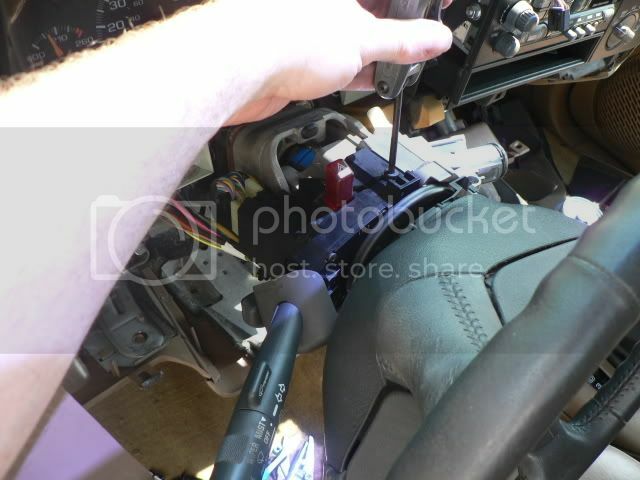 possibly ... have you replaced your ignition switch yet ? NICE! Lots of work there, we all appreciate it. 1995 Factory Blazer Service Manual for sale, PM if interested. Hey that was a great post. I loved the pics. I didn't service my switch I was putting in a new one because I was told by an "expert" that it would solve my " no headlight" problem. Well, it didn't, but I got the new switch in there and am now going to sell the old one, (which is obviously fully functional), on ebay. I have a couple of additional pics that I took. If you want to add them, let me know. 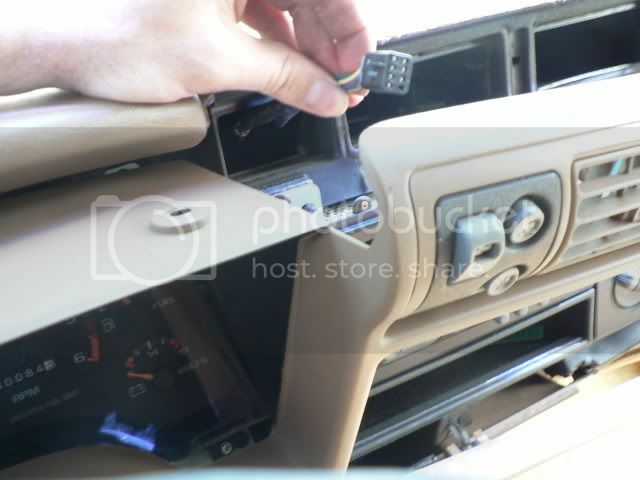 The switch on the dash, (which I got at the junkyard), fixed my problem. I did this yesterday to my 96 blazer. My hazard melted so after proving to the dealer that i DIDNT have to buy the whole multi switch I bought the same part number as the 00 and 01 recall for hazard and it works great. I took apart the multi switch just to make sure there wasnt a problem. Cleaned it just because i was there... easy to do really ... great post ..thanks. 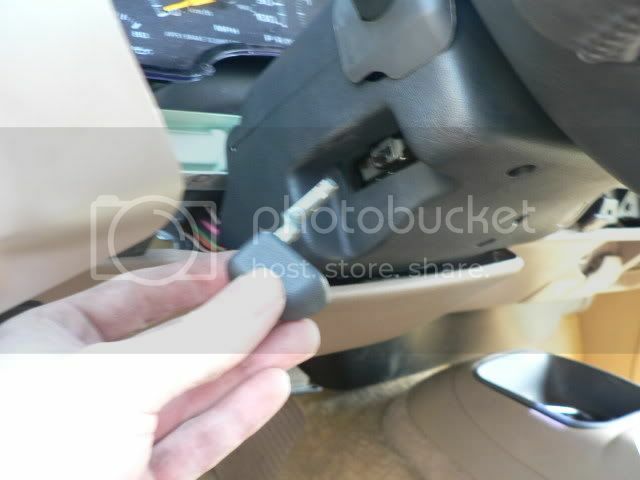 hi i wanted to know i have a 1998 and when i press the door locks the dash and raido will go off and on? 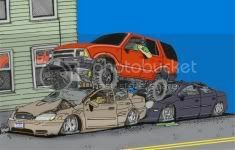 now what happend no raido no gas gadge no spedo ,tack,inside lights,temp? 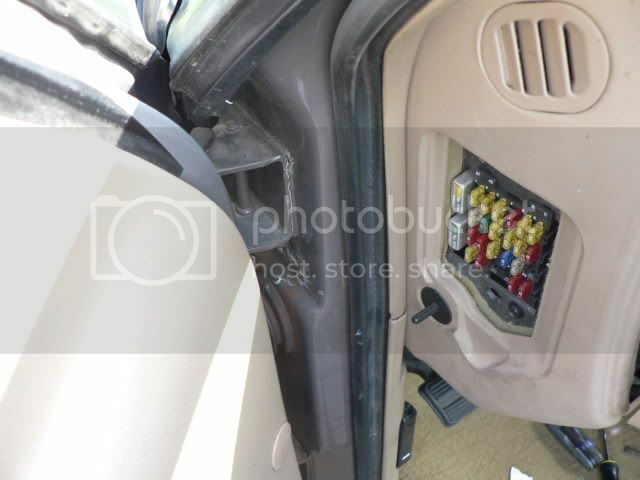 sounds like you blew a fuse or two...check all fuses and relays.. are your door locks after market or factory?? if after market check the install and trace the wiring ..if factory locks you prob have a short some where do the same thing trace the wiring from the switch and make sure you dont have a pinched wire anywhere... your door locks should have nothing to do with your gages....but i would start there... im no expert..but electrical is always a process of elimination..
ITS factory windows all fuses good how do you know if you have a bad relay? the relay that it has on it says nothing about the problem im haveing? now the funny part is that the oil psi working?